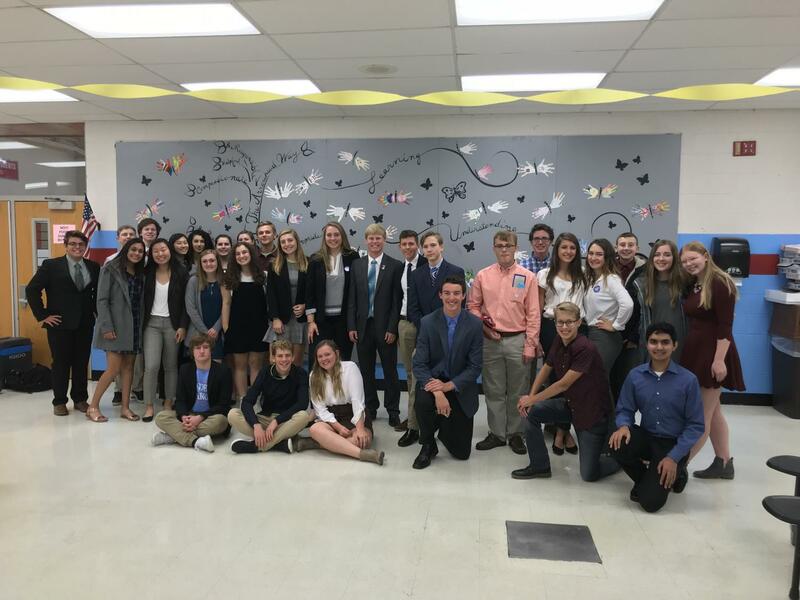 JSA, Arrowhead’s student run debate club, hosted Corn on the Con, a JSA fall themed convention, on Saturday, October 13th. The convention was open for all students to debate current issues. According to members, the convention was a success. JSA meets Wednesdays at 6pm at Arrowhead. The meetings are usually held in Social Studies teacher, TimTower’s room at North Campus, but the location may vary based on the number of participants. In addition to regular meetings, an annual trip to Madison, a larger regional conference, is coming up in early December. Charlie Fahey, JSA’s republican chair, says, in regards to Corn on the Con, “The event was very fun. The turn out could have been a little better but it went smoothly.”. According to Fahey, JSA members want to reach out to Oconomowoc, Kettle Moraine, New Berlin, and other schools in the area. To sign up for the Madison trip see AHS social studies teacher and JSA advisors, Tower or Tamara Varsos to get a permission slip. The cost is $150 per student. The trip is over night on December first and second.